This post was contributed by Heather White, Library Technical Services Coordinator, and Dave Pontious, PT Faculty, Humanities. Mt Hood Community College is making exciting progress in reducing textbook costs. This post provides a look back at where we’ve been and a peek ahead at where we’re going. Last March Heather White and Julie Godat, Bookstore & CPMC Manager, went to Chemeketa Community College to hear Dr. Cable Green, of Creative Commons, give a lecture on Open Educational Resources, at the request of MHCC President Dr. Derr. They were so impressed by his message that they successfully arranged to bring him to MHCC on September 18, 2015; Dr Green delivered an OER keynote lecture and workshops for faculty in-service. Watch the streaming video of Dr. Green’s lecture here. MHCC president Dr. Debra Derr and Christie Plinski, VP of Instruction & Student Development, gave their support to MHCC employees to keep the momentum going. Beginning in Fall term 2015, Christie Plinski established the Textbook Affordability Team (TAT) with the mission to “Facilitate adoption of Open Educational Resources (OER) and MHCC Library Resources as curricular options for faculty to significantly reduce textbook costs to MHCC students.” Dave Pontious and Heather White are co-leads of the TAT; other members are a dedicated group of employees from across campus, working together to develop support services for faculty as they adopt OER and/or incorporate library resources to reduce textbook costs. Since last Fall, many faculty have expressed interest and a few adopted OER materials within a few months of Dr. Green’s visit! The TAT is compiling a list of which faculty and courses have adopted OER material. On November 13, 2015, MHCC hosted a regional Open Oregon conference. Dr. David Wiley, one of the foremost names in the international OER movement, gave a keynote lecture on the concept of open pedagogy. Open pedagogy goes beyond simply adopting open materials and takes advantage of the affordances of open licenses to promote authentic learning experiences and avoid throwaway assignments. Watch the video of Dr. Wiley’s lecture here. This event was a perfect follow up to Dr. Green’s lecture, in that it got down to the nuts and bolts of what it actually means for an instructor’s workflow to adopt OER into the curriculum. 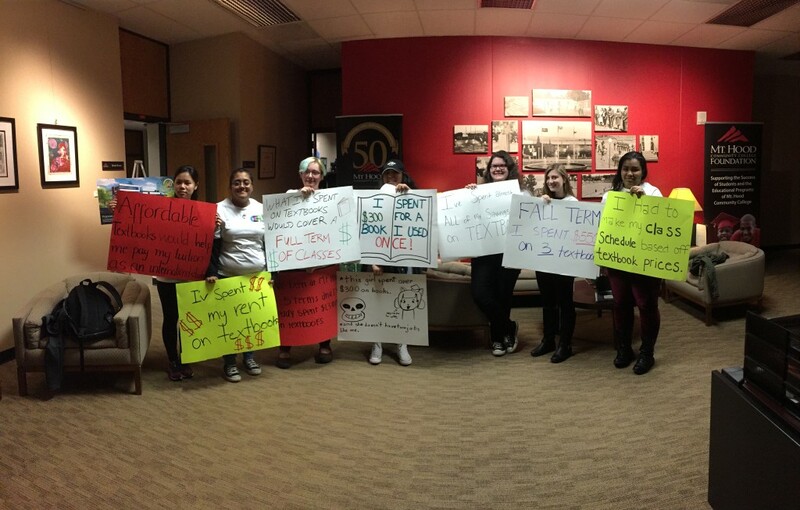 Our big news from Winter term 2016 is that the TAT welcomed a representative from MHCC’s Associated Student Government (ASG), and the two teams have proved to be fantastic supports to each other. 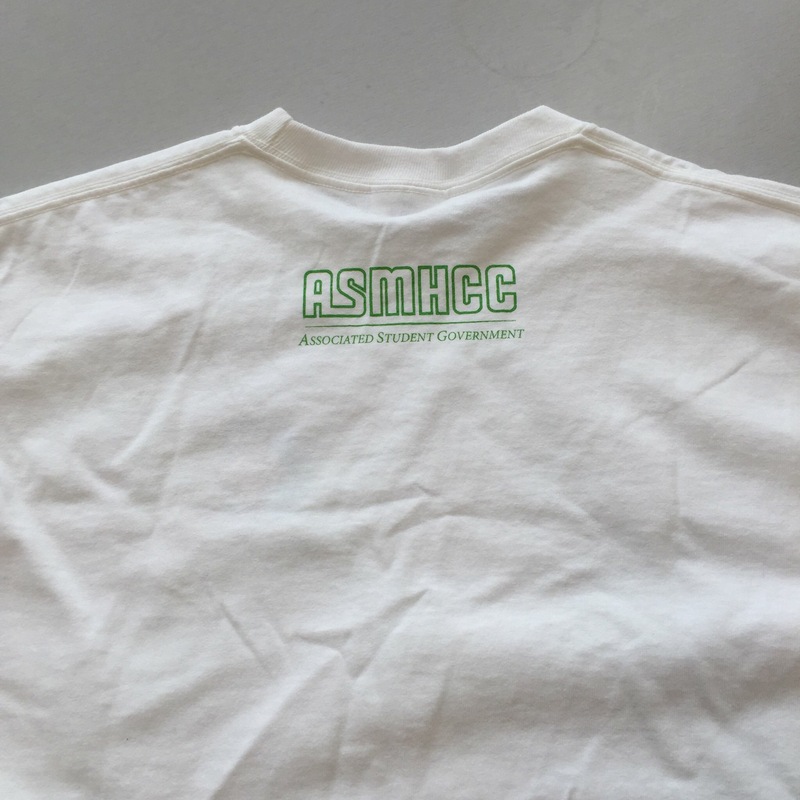 ASG passed a resolution in support of OER adoption by MHCC faculty just in time for them to co-present to the MHCC Board of Trustees about the impact of high textbook prices and what the TAT is doing to address it. The photo above documents the students’ high-impact signs. 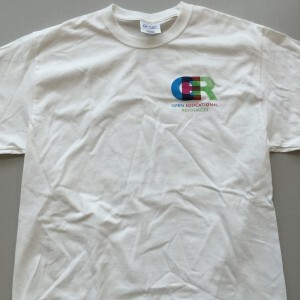 ASG even made OER t-shirts for the occasion! Looking ahead, MHCC faculty made a very strong showing in the Open Oregon Educational Resources OER Grants. Work will soon be underway on the grant-funded course redesign projects. ASG is planning an OER Festival on campus on May 11. We look forward to making more progress this spring and in the next school year.